Pocket Trains is the latest game from NimbleBit, and works in a very similar manner to the company's previous hit, Pocket Planes. You manage railroad trains as they haul cargo from city to city, eventually opening up new tracks, railroad cars and business in several countries. It's a great management simulation that comes with a steep learning curve, but don't worry. These Pocket Trains tips will get you on track, so to speak. -You don't always need to have the game running to reach new locations. You'll see pop-up messages that indicate when a train has arrived in a certain destination, or when new jobs are available to complete. Revisit the game at any time to set them in motion again. 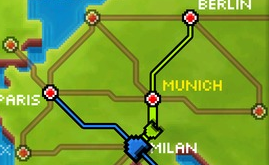 -You can always check the progress of trains that are rolling through the main screen. Simply press the arrow keys to switch from train to train, seeing how they're running and how close they are to their destinations. If one's just sitting there, send it to its next location. -Keep in mind that only one train can run on a designated track at a time. No opportunities for a collision here, as you run a safe railroad business. You can always expand your tracks, though, and create new routes to popular cities for more deliveries. They cost money, so make sure your bank account is prepared. -If you're looking to expand your business right away, you can use real money to purchase in-game cash and coins to beef up your parts, cars and tracks. It's not necessary, though, as you can run enough jobs over a few hours to accumulate a pretty good amount. 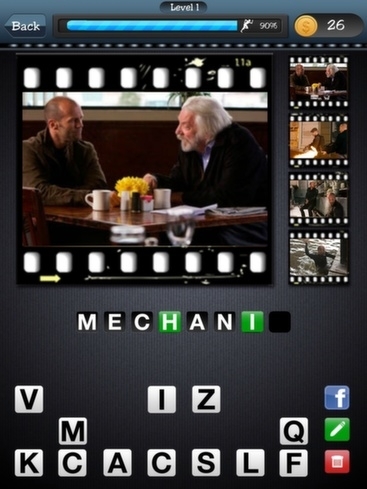 You may also check out promotion options for free bucks, including watching a video. -Can't wait to reach your destination? Use the "boost" button to get there faster and start the next job. NOTE: you will need to use a couple of in-game dollars to do this. -The Menu screen holds a number of options you can tweak. New RR allows you to obtain new cars or cities to travel to. Event keeps track of how your current trains are performing. Craft lets you modify your trains - which you should do often - to beefier models. Other options like Stats and Awards keep track of your progress, so be sure to keep an eye on those. Get used to this screen, because you'll come back to it often, unlocking new parts and purchasing goods. -While you don't have to keep an eye on your trains to see how they're doing, there are rewards for doing so. Random coins and crates will fly about, which you can pick up simply by tapping them.